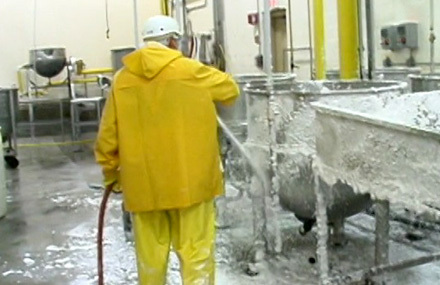 Wayne Chemical offers a team of experts who are the most experienced in the industry. O2XYadd® is a hydrogen peroxide-based cleaner specially formulated to be used in conjunction with SOFTmetal®, HARDmetal®, POTASHcip® or CAUSTICcip®. These binary systems are patented. The hydrogen peroxide in O2XYadd® is activated by SOFTmetal®, HARDmetal®, POTASHcip®, or CAUSTICcip®. These binary systems are recommended as general-purpose cleaners in all food processing plants, on all types of surfaces.